Society Of Losers annual flagship bonanza returns to Manchester this September - bigger, better and you better believe even more Loserrific! Heaps artists across 3 Stages! Limited early bird tickets are ON SALE NOW! Our first wave of artists to be announced each make their Loserpalooza debut! Dig it! Sugar coated grunge punks Hands Off Gretel have come out swinging with their killer record 'I Want the World' this year, we suspect they might just get it! 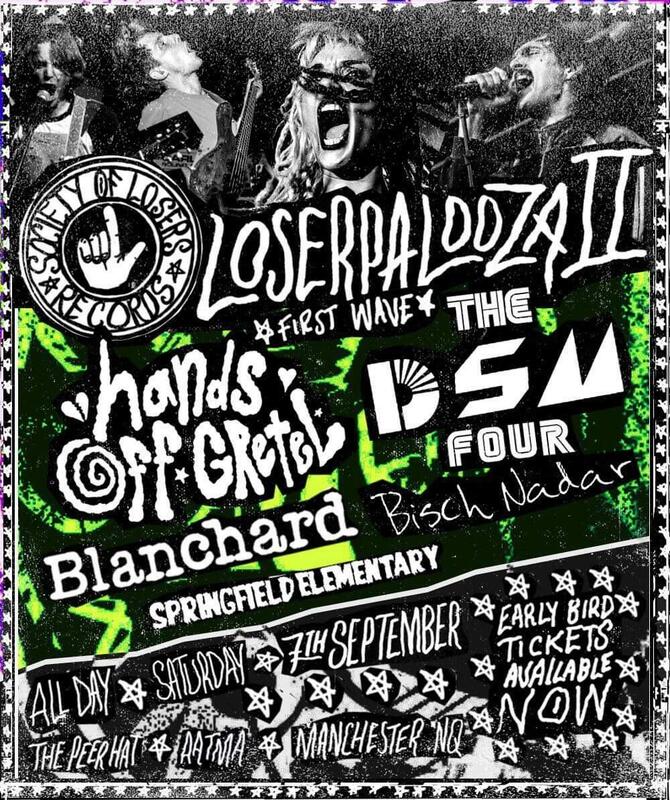 THE DSM IV Guy McKnights electro rock firm The DSM IV bring their mesmerising live show to Loserpalooza! BLANCHARD The newest Losers on the block - noise rock face melters with quirks galore! SPRINGFIELD ELEMENTARY Mancunian acid punks!